We all enjoy spending hours watching cool pics on Instagram. We go to Explore tab and watch what our friends like when our timeline has no new photos to offer. One after another, and we are already thinking how curious and fun it would to see someone’s Instagram feed just like you see your own. Luckily, now it’s possible to do within just a few clicks! 1. Install and launch 4K Stogram. It’s available for Windows, macOS and Linux. 2. 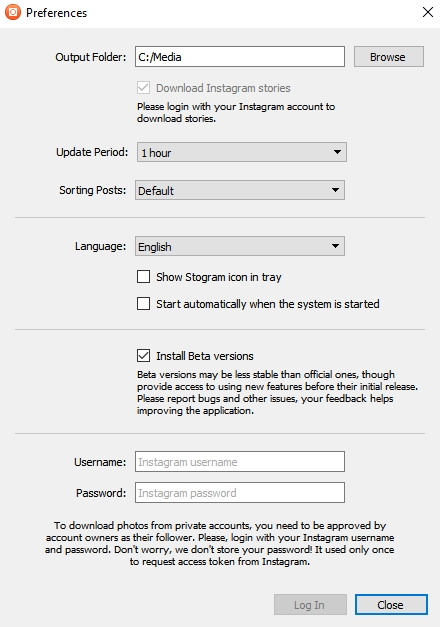 Enter Instagram username and click ‘Subscribe’. 3. 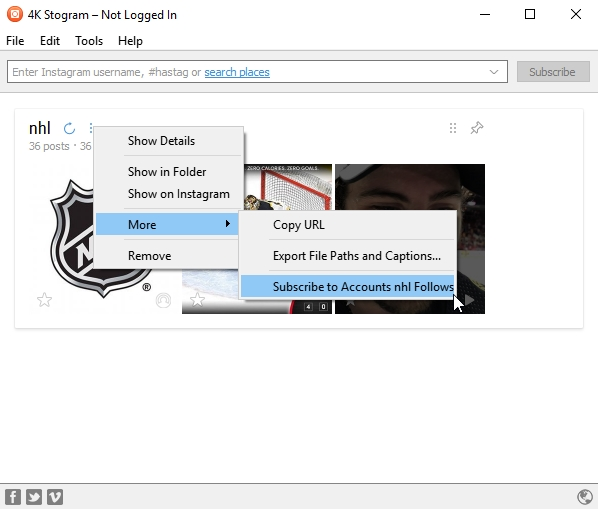 Click with right mouse button on the username to open context menu. Choose ‘Subscribe to Accounts (username) Follows’. 4. Wait for a while until photos stop downloading. 5. That’s it! Now you can watch new photos from users your friends follow adding in real time in 4K Stogram without following them on Instagram!